Gazco Studio 1 Hole in the Wall Fireplace. This client was brought to us by one of our best London Interior Designer clients. The whole house was being renovated and the idea was to take a fairly boring and conventional fireplace and replace it with something contemporary and modern. In addition it also needed to be highly efficient. 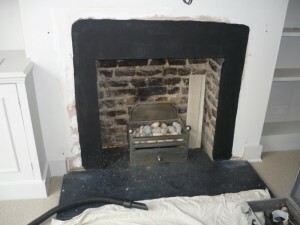 A hole in the wall fireplace design was favoured. 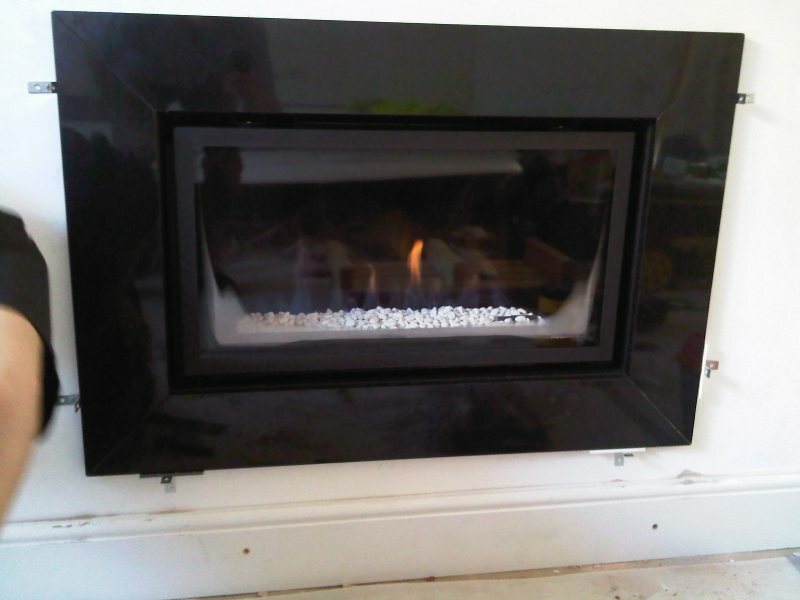 The result was the Gazco Studio 1 glass front gas fire. This is a highly efficient fire of 81%. The design also called for a black granite frame around the fire. The images show the before and after stages of the project. The completed image photographed just after we had installed the fire and show a number of brackets holding the newly fitted granite in place. These brackets were removed after 24 hours.